It’s Thanksgiving – and to say thank you for dropping by to have a read, I am offering up two tickets to the National Women’s Show this weekend! And to make it even better, there will be TWO winners! 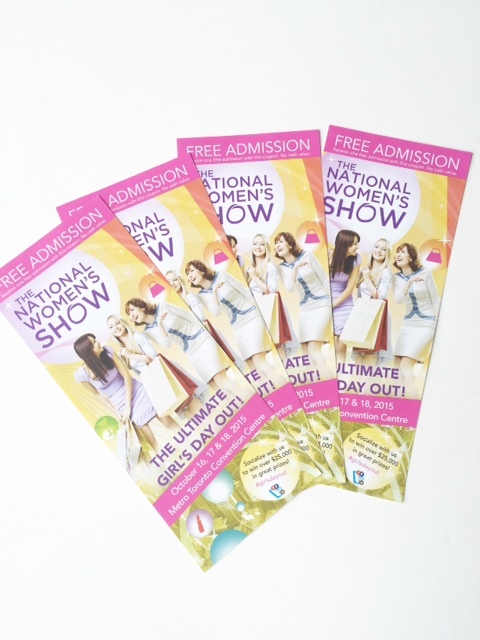 The show is a great excuse for a girls day out – it is being held this weekend (Friday-Sunday) at the Metro Toronto Convention Centre – check it out for more info here: http://www.nationalwomenshow.com/en/toronto/visitor/. The only catch is that you have to be able to pick up the tickets in Durham Region this week! It’s easy to enter – all you have to do is shoot me an email at steph.lue@gmail.com or leave a comment letting me know about what parenting or baby topics or questions you would like to read about! This entry was posted in Things To Do and tagged contest, giveaway, moms, nationalwomensshow, outing, women.